Historically the part played by the State in this country in relation to the practice of the arts has not been very great. But the time comes when particular functions or activities become of such obvious and urgent significance that high places can no longer pass them by. Finally the State takes a hand and endeavours to stimulate them with a more centralising or directive emphasis. That is why the Council exists. Sir Thomas Barlow, first Chairman of the Council of Industrial Design, March 1945. 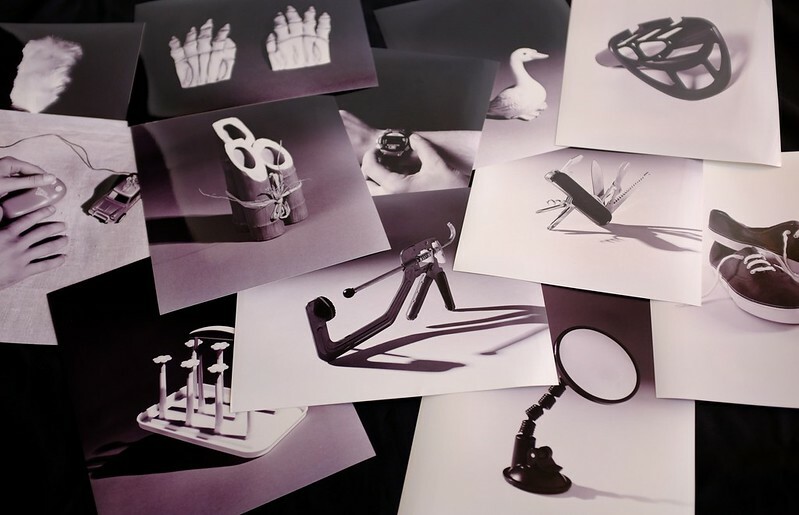 In October 1999, to initiate the second in its series of In-Site projects, PhotoWorks invited artists Marysia Lewandowska and Neil Cummings to undertake a residency in the Design Council Archive at the University of Brighton. Documents is the culmination of that residency, the ambitious conclusion of a year-long period of research and dialogue with the archive and its staff. Documents takes the form of a series of related encounters with the archive unfolding throughout December, including an exhibition [this film Tearing was a part of], a publication, a web-browser [sadly no longer with us] and conference. The Design Council Archive is a unique and, as yet, little known collection devoted to the extensive activities of the Design Council from 1944 to 1994. The archive reflects the far-reaching impact of state-endorsed product design on the cultural history of post-war Britain, it is a highly appropriate context for Marysia Lewandowska and Neil Cummings. Both as individual artists and when working together, as they have since 1995, their work is concerned with 'material culture', with an articulation and understanding of how objects shape our relationship to the world and to ourselves. Much of their previous collaborative work has been made in response to collections and has interrogated the mechanisms by which very different cultural institutions similarly accumulate, classify and display objects and artefacts. Comprising a wide range of materials, posters, films and objects, the Design Council Archive is dominated by one of the largest photographic collections of industrial design in the world. Its 100,000 prints and 60,000 negatives provide an invaluable insight into the expanding world of manufactured goods during this period, with subjects ranging from post-war furniture and domestic appliances, to ceramics, textiles, transport, street furniture, packaging and much more. For PhotoWorks this photographic collection was the initial context for this project and, for Marysia and Neil, too, it provided a point of entry into the diverse materials stored by the archive. Importantly for them, as well as forming a comprehensive record of manufactured products, the photographic collection also graphically demonstrates the various promotional strategies of the Design Council as it sort to define and control an emerging consumer culture and an uncertain public taste following World War II. Marysia and Neil's work thrives in a context where an open exchange of ideas is matched by a spirit of enquiry. In the archive they have found such a context and this is reflected in the breadth and multi-faceted nature of their final work. While Documents embodies a critical response to the archive as a representation of institutional control, it also suggests the artists fascination with the design and utility of objects and the continually shifting values we ascribe to them. Their work is, in this sense, both rigorous and playfully inventive as it re-articulates the archive's data and re-considers the Design Council's attempts to shape the visual and material culture of post-war Britain. Connected through the archive to this crucial moment of formation, the Documents project also reflects on the Council's waning influence now, adrift in the boundless spaces of early twenty first century consumerism. The project would not have been possible without the invaluable support of Catherine Moriarty, Curator, Design Council Archive, and Professor Jonathan Woodham, Director of the Design History Research Centre. In recent years we have developed a number of projects with museum collections, retail stores, galleries and art academies, all of which play a central role in structuring economies of value and exchange, between people and things. In these projects we have evolved a way of working which requires a detailed and prolonged period of research with the host institution. Rather than conceiving an artwork which is taken to a designated space of display - conventionally a gallery - we are interested in developing a range of practices relevant to the context of a particular project. 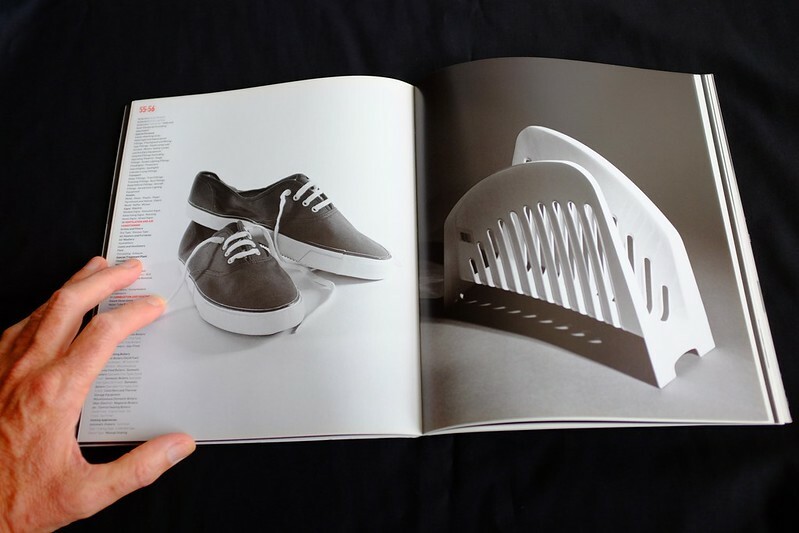 The prospect of working with an archive devoted to the post-war history of design, manufacturing, and consumer goods both connects and extends our interest in the materials of culture. An archive - unlike a museum - has no imperative to interpret or exhibit its holdings. The vast photographic collection at the heart of the Design Council Archive, is accompanied by the attendant information shadows of objects - press articles, films, advertising, teaching materials, minutes of the Council's meetings, annual reports, government correspondence and memoranda, leaflets and ephemera, information cards and indexes - stored as evidence. The collection waits mute in rigorously controlled environments, awaiting scholarly interpretation. Browsing through the archive, the details of a powerful economy emerge - one barely imaginable today - the traces of a centralised government project to educate the taste of its citizens, in the consumption of material things. Records bare witness to the State initially stimulating, then reacting against, and eventually becoming subsumed by a culture of consumption; perhaps echoing government participation elsewhere. To take up a residence is to establish a relationship, becoming a guest and gradually getting to know the host. Occupying an unfamiliar space over time is refreshing, there is a pleasure connected to the systematic effort of searching, navigating and at times, aimlessly drifting. Slowly, as the recognition of what forces shaped the collection emerges, so does the need for giving shape to one's own response. Fortunately, the Design Council Archive is also a space of conversation, staffed by curators whose task lies not only in ordering and protecting the collection, but who themselves are committed to an ongoing enquiry over its meanings. Our conversations have often revealed the blind spots and quiet documents hidden by the vast catalogued bulk of the photographic collection. These gaps reflect the limitations of every system, exposing weaknesses in collecting and classifying as an inadequate representation of wider material practices. Could one conceive a different kind of order, in which certain images or documents could be brought back from the sleep of the archive, and animated into exchange? While we were encouraged to open every folder, file, box and album a different kind of indexed storage space was emerging. The Design Council Archive is in the process of going on-line, allowing its images and information to fuse with the infinite digital data, threaded together as the World Wide Web. The process of electronic transfer holds the promise of endless availability as the archive connects with everything else in a digital form. Crawlers, Portals and Search Engines are the new archivists, software that helps curate data into comprehension. Imagine drawing-up an inventory of every object you use in a day, or every thing you own, or every artefact you value. Any list that emerged would feel at best provisional, at worst it would seem like a futile task. And now if you would, pretend that the exercise was to be conducted on a national scale, and that the resulting document would be used to educate and influence popular public taste in the manufacturing and consumption of the indexed items. This is precisely what the Council for Industrial Design initiated in 1949, in an attempt to drag Britain out of the devastation caused by the second world war. The Stock List, compiled by various government departments determined selection for the seminal Festival of Britain exhibition and became a template for promoting British products the world over. Between these covers rests the original Stock List an extraordinary poem to materiality, composed by post Britain's post war ruling class; accompanied by one hundred images of contemporary products, each determined by their arbitrary retail price of one pound. The Council for Industrial Design (1944-1971) and latterly the Design Council (1972 to the present day) were formed with a government mandate to encourage 'good' taste in the manufacturing and consumption of material things. The Council for Industrial Design perfected the use of exhibition as a medium to disseminate the governments intentions; through spectacular trade shows, and smaller touring exhibitions in department stores, galleries, civic halls, and schools; both nationally and internationally. These themed product displays were complemented by wide range of powerful promotional devices; featuring national design competitions, publications (including Design magazine), education programs, poster campaigns, print ephemera, films, and features on broadcast television. Threading all these various activities together, was an enormous photographic collection. This collection was initially formed to help selection for the seminal Britain Can Make It exhibition at the Victoria and Albert Museum in 1946. By 1948/9 the Council had built the largest photographic library of consumer goods in the world, some 24,918 black and white prints - acquisition continued, resulting in over 100,000 prints, and 25,000 color slides. As the library expanded, it necessitated a labeling system to help users navigate the images; this resulted in the Stock List, an index that evolved from a sequence of general classificatory headings, to become a detailed inventory of all the photographs, and the objects they represented. The Council's Stock -and its unclear whether the term stock refers to the photographs or the goods depicted- was first displayed as the 1951 Design Review at the Festival of Britain. The photographs and accompanying inventory worked as a reference index for trade buyers, manufacturers, the popular media, and general public alike; a resource that was simultaneously inert documentation, and potential promotional material. Entry into the Stock List - via strict adherence to the preferred 'objective' photographic styles of the Council- made the approved product available for exhibition, and more importantly subject to the full force of government endorsement. The constantly revised Stock List, became the template for officially supported exhibitions of products, plant and machinery, and the principal means through which the Council's ideology was reproduced. Between these covers (actually as a .pdf at the foot of this page) rests an extraordinary poem to materiality composed by Britain's postwar ruling class, a copy of the original draft of the 1951 Stock List. Books the only entry is Scottish Anthologies etc. As the Stock List classifies, forgets and fixates, an uncanny portrait emerges of the people (principally men) and forces that shaped it, full -as it is- of their obsessions and anxieties of finding order or value among things.